Modern vehicles, equipped with vehicle-to-vehicle communication, infotainment and driver assistance systems, are enabling drivers and passengers to access, store, and transmit data via the Internet for entertainment and safety purposes. Concurrently, the proliferation of data across disparate systems and devices makes vehicles and users vulnerable to cyberattacks, exploiting different entry points such as keyless access, smartphone apps, and USB, among others. Addressing the burgeoning cybersecurity concerns is thus an imperative for the automotive companies. Stepping up to the challenge is HARMAN International Industries, which was recently acquired by Samsung for $7bn. 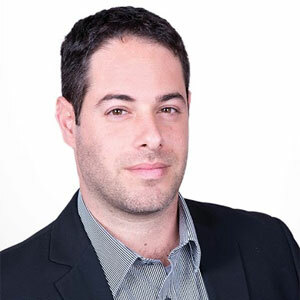 Over the past five years HARMAN has made significant and ongoing investments in Israeli cybersecurity technology, including the acquisitions of three startups. Built upon the TowerSec acquisition, HARMAN Automotive Cybersecurity (ACS) provides car manufacturers with a solution suite called SHIELD Platform, which includes intrusion detection and prevention software products - ECUSHIELD and TCUSHIELD, as well as other security agents, e.g. for autonomous driving or vehicle-to-vehicle communication. ECUSHIELD provides powerful, real-time detection and policy enforcement to prevent malicious communication intrusions from reaching the vehicle’s mission critical systems; TCUSHIELD secures internal and external networks, which include Telematics and infotainment systems. HARMAN ACS also provides risk and vulnerability assessment services as well as a cybersecurity dashboard—a backend agnostic dashboard that facilitates seamless integration with leading security vendors such as the IBM QRadar Security Intelligence Platform. Through its ecosystem of partners, HARMAN provides a mature end-to-end solution, including SIEM and SOC platforms, to increase visibility and forensic capabilities to tackle cyberattacks. The company works with automotive OEMs to define policies and guidelines, as well as with industry organizations and standard bodies such as the SAE and the Auto-ISAC in the U.S. and JASPAR in Japan. “Powered by the acquisition of TowerSec in 2016, HARMAN Automotive Cybersecurity offers deep expertise in the traditional IT and embedded security and brings several years of pioneering work in automotive cybersecurity,” says Yuval Weisglass, Vice President for R&D, Automotive Cybersecurity at HARMAN. The company offers embedded software solutions and services to car manufacturers, either directly or in collaboration with its partners. These solutions assist in improving visibility and forensic capability to detect cyberattacks. HARMAN is collaborating with IBM Security to bring enterprise-grade security analytics to automotive Original Equipment Manufacturers (OEMs). The combined solution demonstrates how HARMAN’s cybersecurity suite can be integrated with the IBM QRadar Security Intelligence Platform, creating a best-of-breed solution, offered today to OEMs. With this collaboration, IBM is expanding its SIEM reach across new horizons providing a rich layer of in-vehicle and embedded data. The collaboration brings together the extensive capabilities of both the companies to offer automakers on-board detection and mitigation of a range of security events and threats along with a robust backend analysis and forensic system. With more than a decade of experience working as a senior R&D manager at the Israeli Security Agency and as an officer (Res.) at the 8200 Intelligence Unit, Weisglass knows cybersecurity inside out, leading a team of researchers developing foolproof security solutions for the automotive industry. “We remain true to our strong commitment to provide full vehicle protection for the evolving challenges in the automotive industry, such as the growth of Internet-connected vehicles as well as the introduction of autonomous and semi-autonomous vehicles,” adds Weisglass. With the intent to enrich its existing ecosystem of partners, HARMAN focuses on advanced connectivity and autonomous technologies to deliver a complete end-to-end framework for car manufacturers. As a wholly owned company of Samsung, HARMAN is also exploring synergies around autonomous vehicles, IoT, and semiconductors to deliver comprehensive security solutions to the automotive industry.